Fern cradled the cordless phone under her chin while deftly forming cookies for the Annual Charity Auction. "Hi, Ruth! So what are you doing today?" 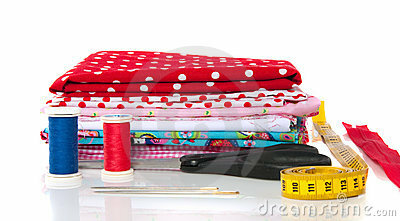 "Oh, sewing. Sewing for my grandchildren. You know how it is with children. They grow so fast." "They sure do. Say, did you hear what Susan has been up to the last while? " Fern didn't seem to hear her as she plunged on with her story. "I can't believe she would 'fall in' with that sort of companions! And did you hear what she was doing just the other day?" "Oh, you know. The unusual. Doubt, Unbelief, Luvof-deeworld. I don't know their real names.She really fell hard." "Yeah, I wanted to go talk to her, but didn't know what to say." "She should have known better. After all she came from a good family." "Did you hear who did go and talk to her?" " You know, the one who started coming to church awhile back!" "Oh, her! I haven't met her,yet! You'd think she would be ashamed to come around with her outlandish hair color and those awful tattoes! I wish you wouldn't keep sewing while I am talking!" "They say she has met the Lord." Ruth gazed longingly at the garment in her hands. Chatting with Fern always took soo much time. "Really? Well, seeing is believing. I wish she would change her ways if she is going to persist in coming to church. Think of the influence she could be on the young!" A faint dinging sound could be heard in the background. "Oh, there goes my timer. I'm making my famous Orange Buttermilk Cookies for the sale. Iced and decorated, of course.I do hope we rake in lots of money towards building a new church in El Salvador. It's a good cause." " Maybe I should donate these dresses I'm making. Breanna and Kayleen have plenty." " Sure, that's a good idea. I hope that, uh, What's Her Name doesn't put strange ideas into Susan's head. The poor girl. I bet her mother must be so embarrassed to have Her hanging around." Ruth was silent. She had heard that Susan, and her mother had been deeply touched by the compassionate, non-judgmental attitude Diedrie had shown. "I wish I could be more understanding...." She said softly. "Oh, you do fine. Look, you offered to give those dresses, after all that work and money you put into them! Well, I got to run along. Ta de da! Have a good day." Click! Ruth sat there lost in thought. Why is it so much easier for some to show compassion than others?